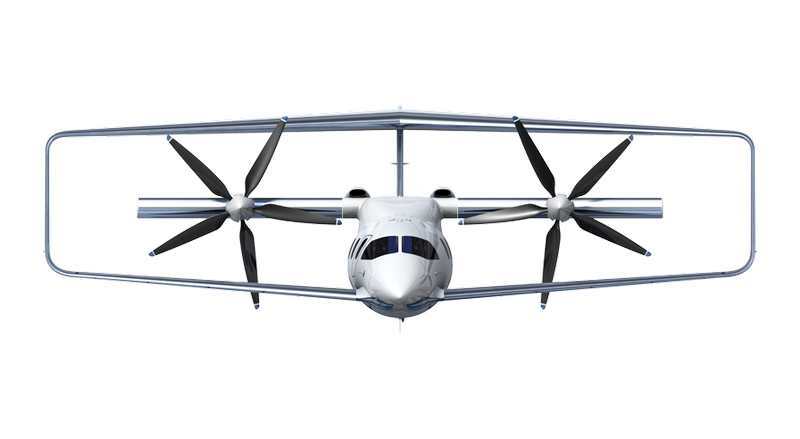 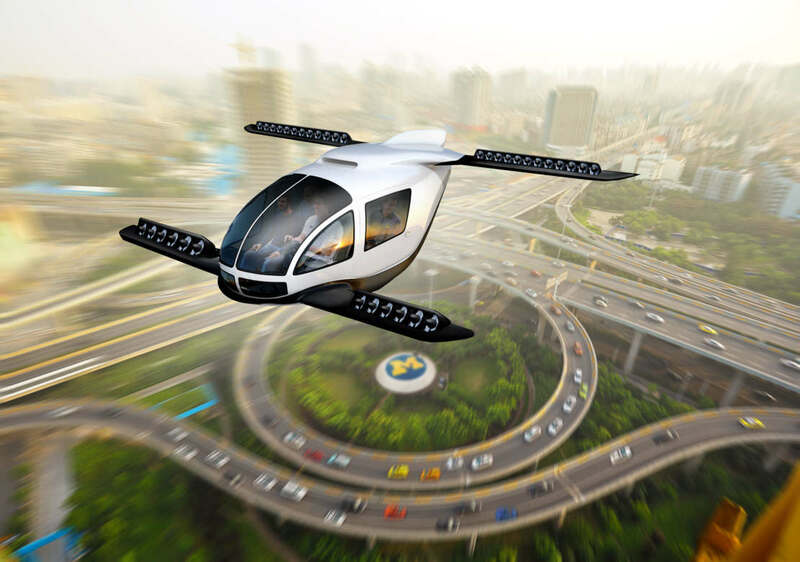 Elytron will be the first to deliver aircrafts that can take off and land like a helicopter but fly with fixed wings at speeds unattainable by helicopters all with greatly reduced complexity and cost compared to any existing tilt or rotary wing aircraft. 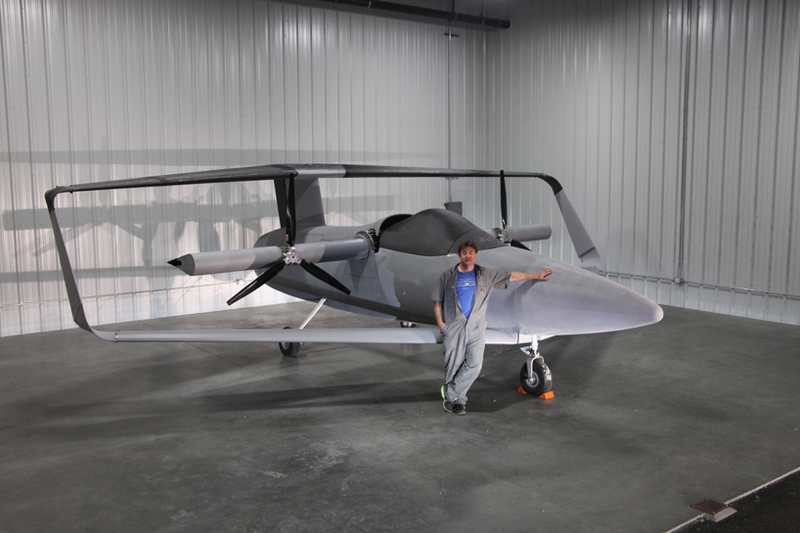 After 10 years of research into convertiplane wing and lift design, a box wing design with central prop-rotors was chosen providing aerodynamically clean vectored thrust. 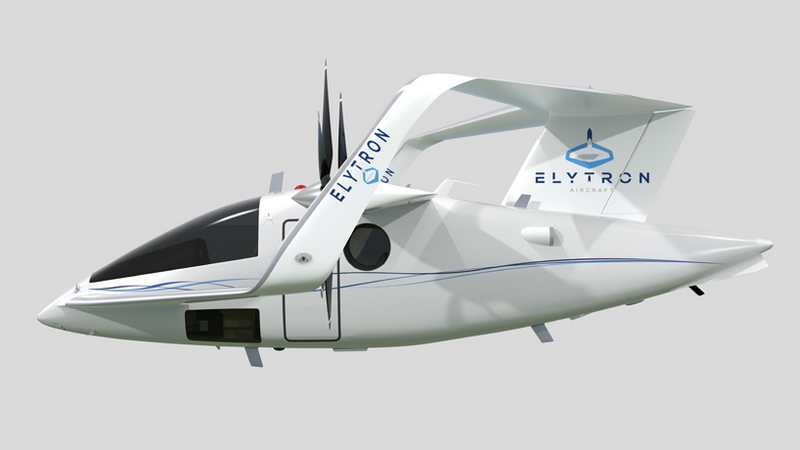 The Elytron design combines three sets of wings: one pair of rotary wings called “proprotors”, mounted on a single tilt-wing in central position, and two pairs of fixed wings. The fixed wings are split into a forward pair and an aft pair that are joined by winglets, which make use of the joined-wing concept. 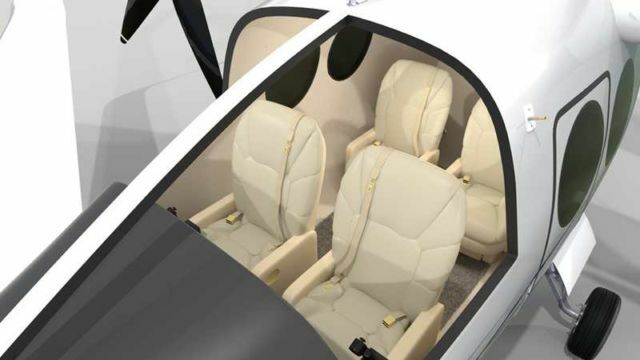 By splitting the wings apart, the design eliminates any interference with the thrust of the proprotors. The main wings have a high aspect ratio, are braced and can be built very light which reduces drag. 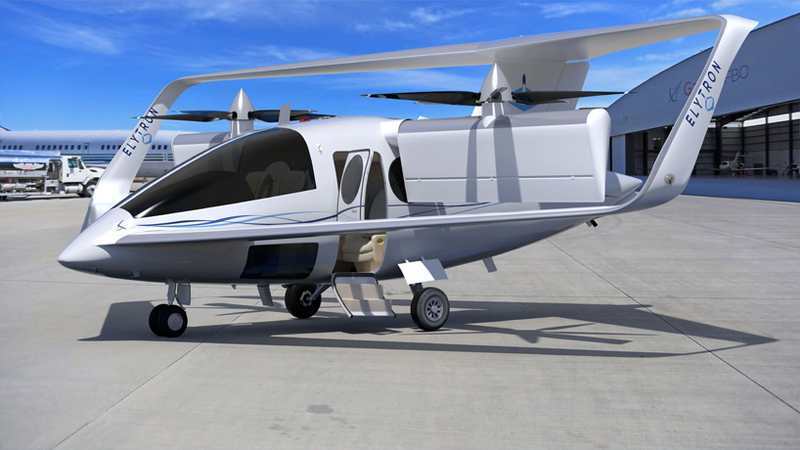 Since the front and rear wings are joined together by winglets, they enclose the proprotors eliminating the risk of rotor strikes. 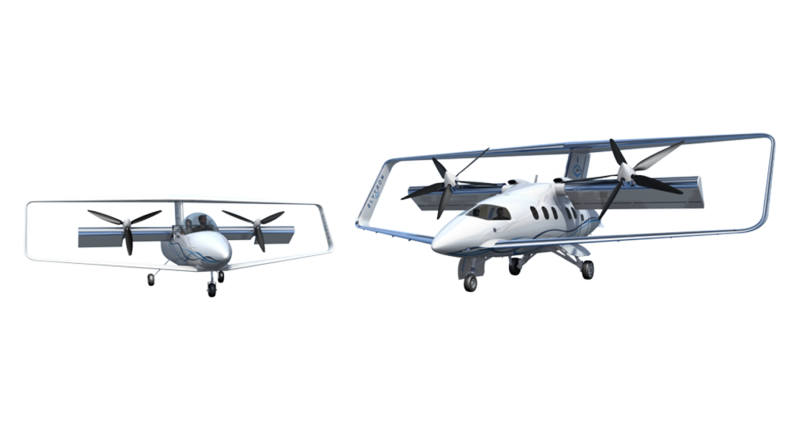 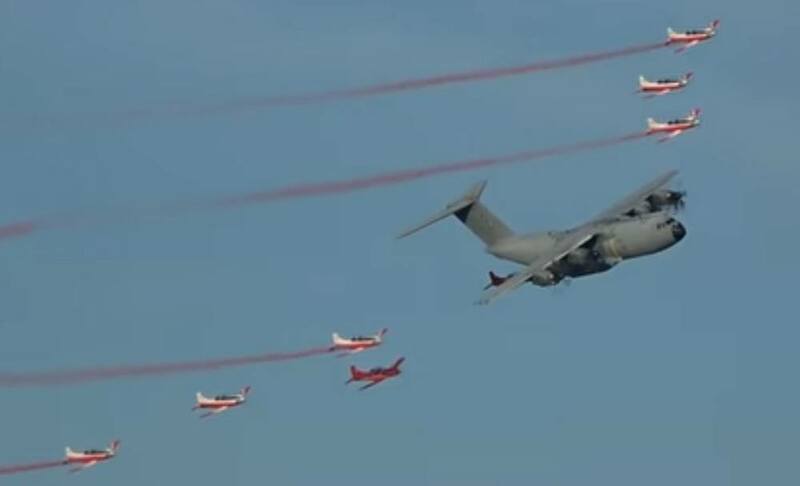 The plane has superior glide ratios and low stall speeds because of this low wing loading design, and also displays excellent Short Take-off and Landing (STOL) capabilities. 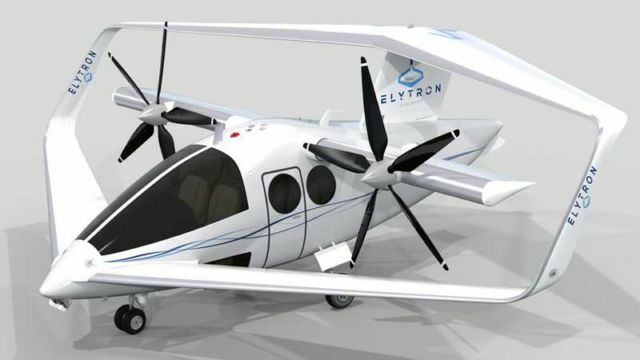 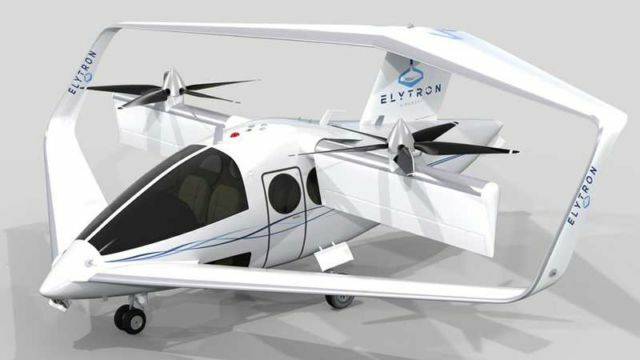 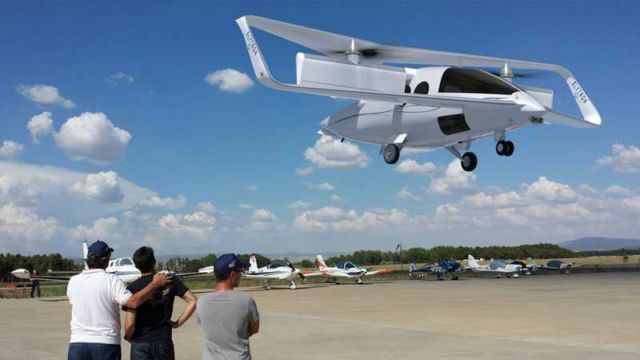 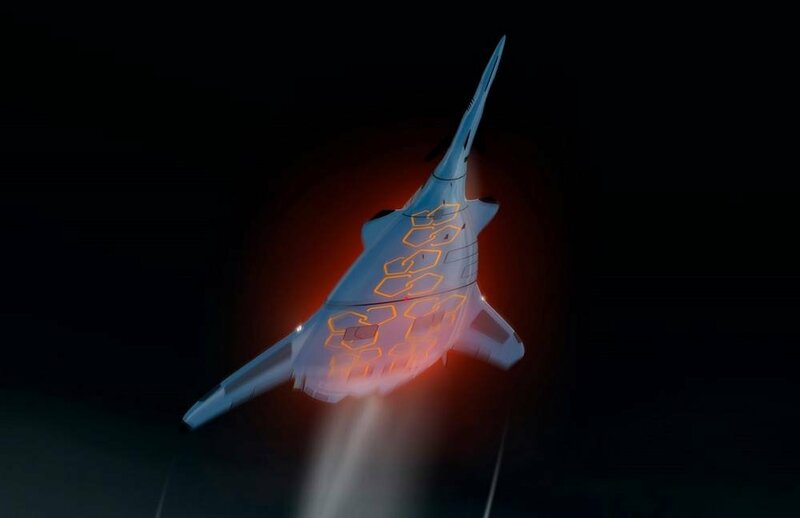 The Elytron concept should revolutionize aviation!